Seamus Heaney has been a hero of mine for as long as I can remember. I was due to see him read in London towards the end of January 2013. I did not make it, as my sister died that night. 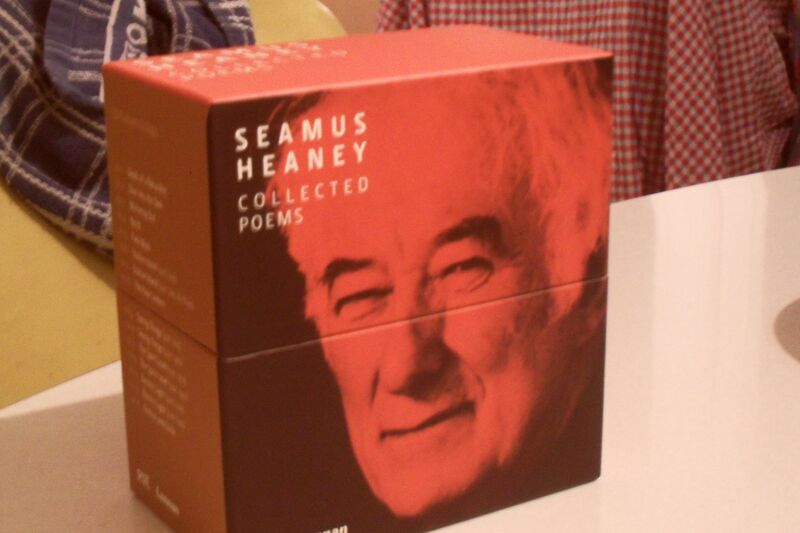 Over the years, the same sister gave me many of Heaney’s poetry collections, and more recently, the glorious gift of the audio collection, read by the poet himself. So much that I can relate to in terms of the personal impact of Seamus Heaney, the man and his words, has been movingly and eloquently said and re-said over the past days. The poem Mid-Term Break has always been a favourite of mine. Written many years after the tragic death of Heaney’s younger brother, the poem, as written by the adult, convincingly captures the voice and the imagination of the child Heaney, as he recounts the event as if he were contemporaneously experiencing it. With characteristic humility, Heaney dismissed Digging as a ‘coarse-grained navvy of a poem’, its interest mainly lying in its success in ‘finding a voice’, and arriving at that place where ‘you can get your own feeling into your own words and that your words have the feel of you about them’. In a TV profile that included a series of interviews with the poet in 2009, Heaney was asked about his views on death. He replied that his attitude towards his own mortality had eased with age, and that any sense of fear in particular had gradually diminished. Prescient perhaps of his final words to his wife Marie before he died last week, ‘Noli temere’, which translates as ‘Don’t be afraid’. Heaney’s poem A kite for Michael and Christopher ends with the phrase ‘long-tailed pool of grief’. Prescient again, on this occasion of a nation’s sense of loss. We no longer have the man. Yet we do have the words, so many words, which he chose to share. A lasting comfort, of sorts. 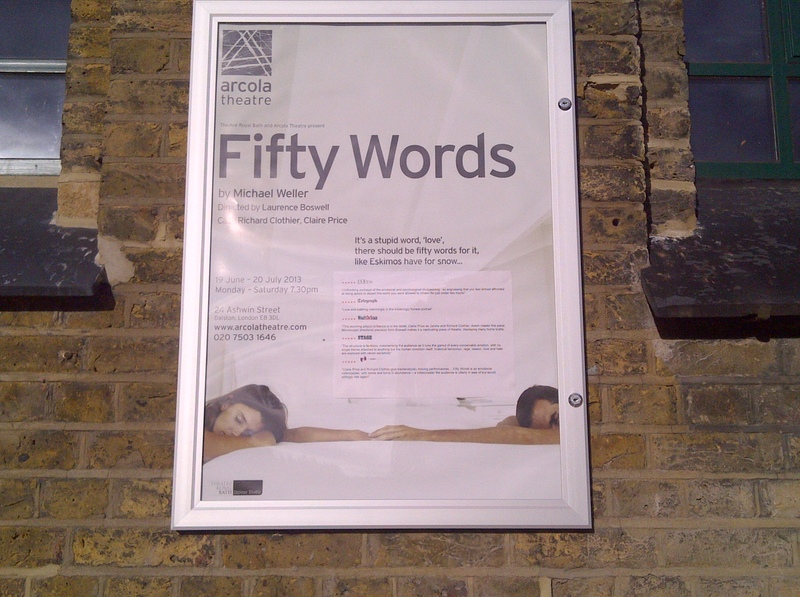 I saw this play in the lovely Arcola Theatre in Dalston over the weekend. With just two characters, the piece is about a marriage, about all marriages perhaps, and how fragile and precarious their survival can be. I loved it. It is about words, those spoken and often misunderstood, and the unspoken, which can be equally treacherous. In the end, it is about humanness, and our innate potential to reach out to those we truly care for. Someone very close to me died this week, after a short illness. We all mourn and grieve in different ways. I am more likely to turn to music and to words than to people at times such as this.